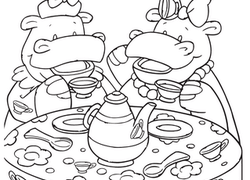 A twist on the typical colour-by-number, this colour-by-shape choo-choo activity is sure to be a blast! 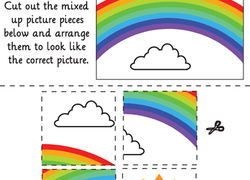 Not only does this hidden shapes worksheet help preschoolers recognise squares, it also doubles as a coloring page! 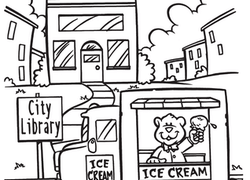 Combining coloring, counting, and a hidden picture puzzle, this worksheet is sure to keep your preschooler entertained. 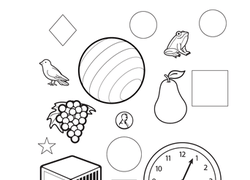 Sneak some maths practise into coloring time with this shapes worksheet. Kids trace the shape-filled picture, then colour each shape a different colour. Shape up those problem solving skills with a fun block puzzle activity, comparable to tangram puzzles! Help your child's imagination to grow with these tangram picture cards. He'll use the tangram shape pieces to re-create this picture! Help your little one build logic and reasoning skills with a tangram puzzle! He'll re-create this picture using the geometric shapes of tangram pieces. Encourage your preschooler to think about basic shapes and how they make up everyday items with this simple drawing worksheet. Build reasoning and logic skills with a fun puzzle full of geometric shapes! Your little one can colour his own tangram template in his favorite colors. Learning how to count doesn't have to be a chore. 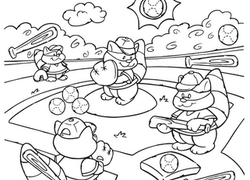 Your preschooler won't even realise he's learning as he counts up the balls and bats hidden on the page. Gain practise drawing your shapes by tracing the rectangles that form the train cars to complete the picture. This construction zone is full of shapes! See if your little builder can find them all. Hidden picture puzzles are a fun way to help your preschooler practise shapes. Can she find all the circles in the animal parade? Little learners will love these tangram puzzles, perfect for learning shapes and building fine motor skills. Here's some shape fun for young learners. Cut out these colorful shapes to see how they can come together in a larger shape. Silly Shapes: Make a Face! Who says that you can't learn from playing? 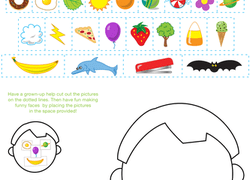 Invite your preschooler to sort out these silly shapes and put them together to make a funny face! Learn the different shapes with a tangram puzzle! Your little learner will re-create this picture using tangram shapes, a great way to build logic skills. The circle search is on! 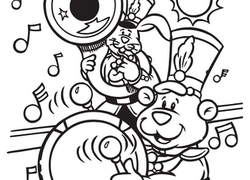 On this prekindergarten maths and coloring worksheet, kids find and colour all the circles! If you're looking for a way to make learning shapes fun, this hidden rectangles worksheet just might be the answer! Let's try to find triangles! 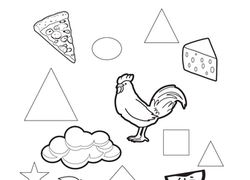 On this prekindergarten maths and coloring worksheet, kids find and colour all the triangles! Here's a colorful set of tangram shapes that your child can use to create fun pictures. He can cut them by himself to create his very own tangram puzzle set. Help your child build logic and basic geometry skills with these tangram picture cards. He'll use his reasoning to re-create the picture on this puzzle card! Help your child's imagination to grow with these Tangram picture cards. He'll put his logic and reasoning skills to the test to re-create this picture! This 4th of July picnic is full of shapes! Help your preschooler learn to identify circle, stars, triangles and squares that are hidden in this scene.